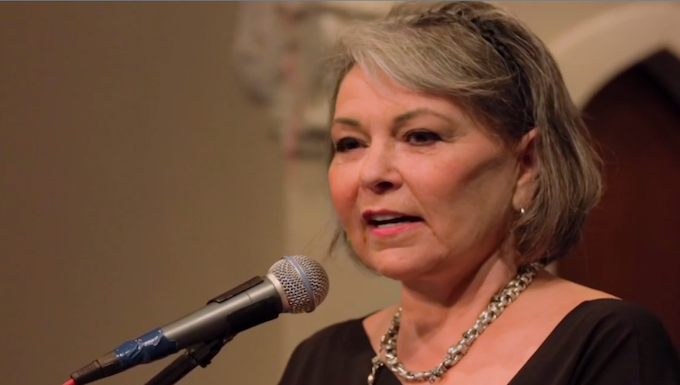 Roseanne Barr got a lot of attention at the Tribeca Film Festival earlier this week from her disclosure that she is losing her eyesight due to macular degeneration and glaucoma. As tragic as that news may be, hopefully it helps draw attention to the primary reason she was at the festival: her inspiring, gusty run for President in 2012, as documented in Eric Weinrib’s intimate and moving “Roseanne for President!,” which world premiered at the festival over the weekend. What “Roseanne For President!” shows is just how serious Barr was. Aggressively advocating for issues similar to what her groundbreaking ABC sitcom addressed so gloriously — family, class, race, gender, sexual orientation — Roseanne spent most of 2012 on a grassroots campaign to become a third party President. Which also involved advocating for one of her other passions — pot. While Roseanne said it’s been “great” to see the strides made regarding marijuana reform since the 2012 election, she’s less hopeful about the upcoming election in general. Which certainly begs the question: would Roseanne run again? So, then what is next?